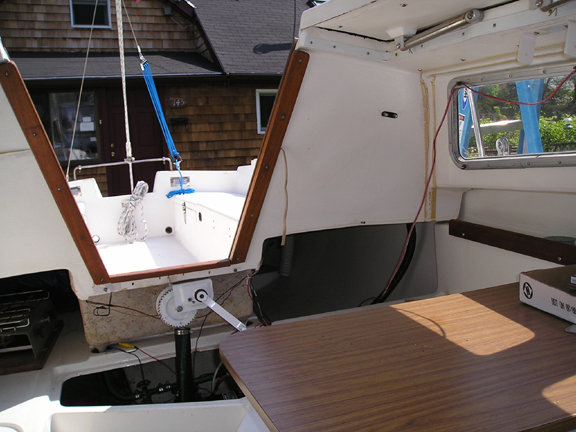 Wires coming from the deck (black for the solar panel and white for the mast lighting). 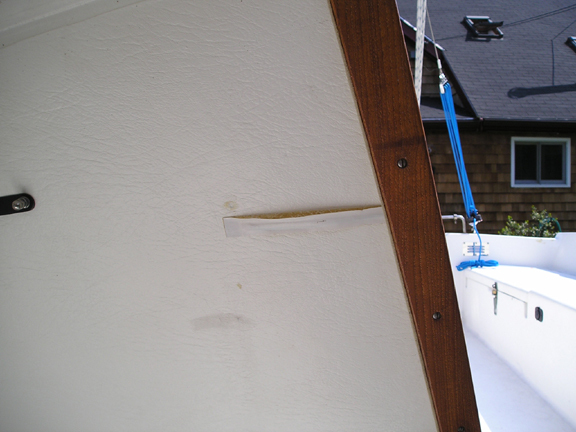 The removable VHF antenna coaxial cable will come through the the cable clam. 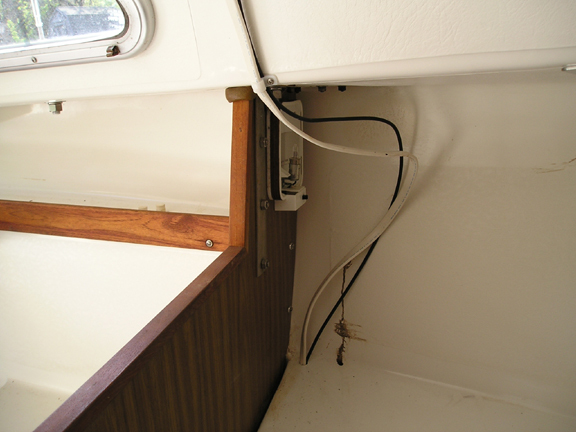 Wires that power the VHF radio. They still need to be covered. The wire that comes from and lights the cockpit-mounted compass. It goes behind the trim and down to the running lights panel switch. 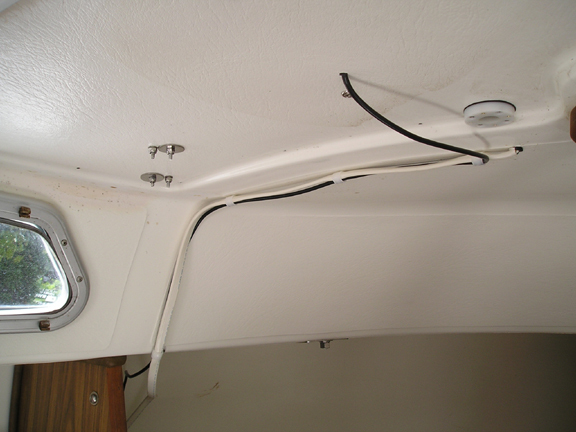 The wires coming down from deck -- solar panel and mast wiring. 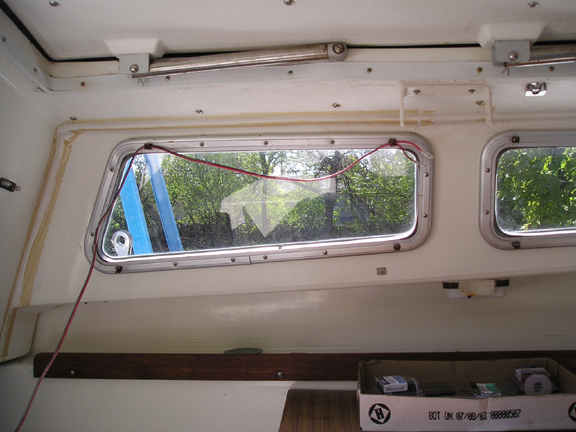 An overview of the cabin wiring looking aft. 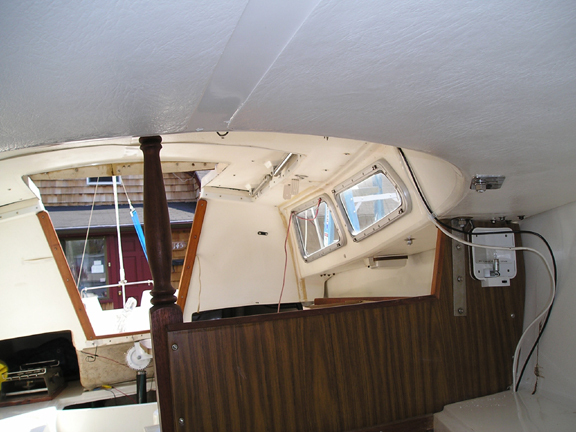 Compass on far left, VHF wiring on right. Wiring viewed from the V-berth.